I am having to use YouMail in place of Verizon VVM. My YouMail icon has disappeared from my screens. How do I get it back? I look in apps and it only gives me option to uninstall. How about the app tray? You might have hid it by accident, go to the BlackBerry settings. App appearance. Whenever an icon disappears on me I go looking for it in the App Tray. Is the app tray the pull down on the top? if so, I have repeatedly looked there and Do not see it. 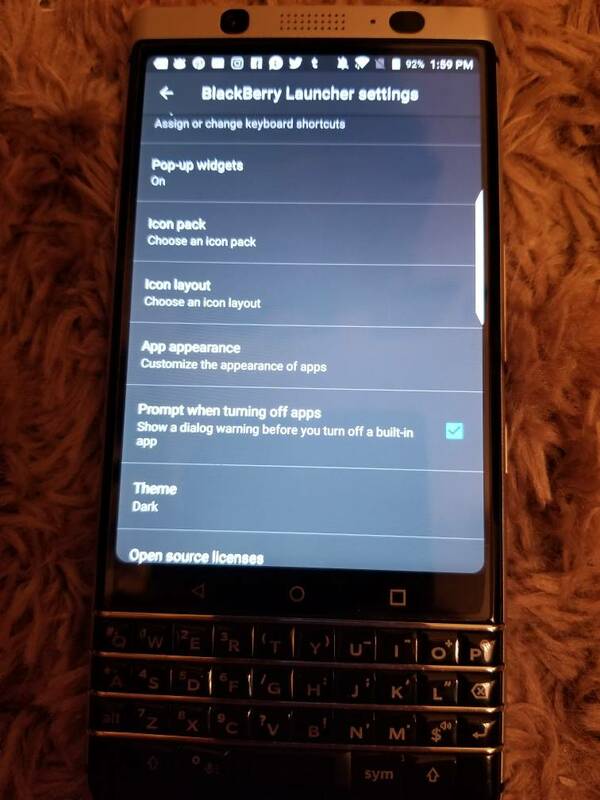 How do I get to the BlackBerry Launcher settings? App tray is circle with the 6 dots at the bottom centre. Get Launcher settings by holding down an empty location on the home screen. No the App tray is the big circle with 6 dots in it in the bottom middle of your home screen where all your apps are. You likely just removed the icon off your home screen. Check the App tray and you can drag the icon back to home screen. Bingo!! Thank you!! That was it. ray689 and FF22 like this.